Fixed Ladders / Dock Ladders | EGA Products, Inc.
A mainstay at many industrial facilities, wall mounted ladders get workers where they need to be without getting in the way of other work that needs to be done. Fixed ladders, dock ladders, or wall-mounted ladders (caged or non-caged) are essential in any manufacturing workplace, warehouse, or factory floor that features multiple work platform or mezzanine levels. Workers need to regularly move up and down between platforms efficiently to do their job right. Give us a call at 262-781-7899 or request a quote today to see how EGA Products can make your workplace better for you and your employees. 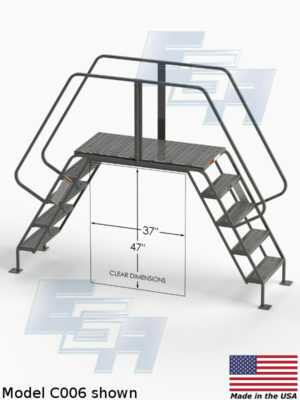 We also custom fabricate any fixed ladder or cage ladder to your exact specifications. 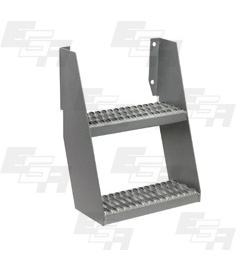 Made from high quality galvanized steel and tailored to your company’s exact specifications, EGA Products industrial fixed ladders meet or exceed OSHA standards and are built to last through rigorous, constant use. Our wall-mounted ladders are so effective, in fact, that some building and housing contractors have installed them in large window wells as a safety precaution. 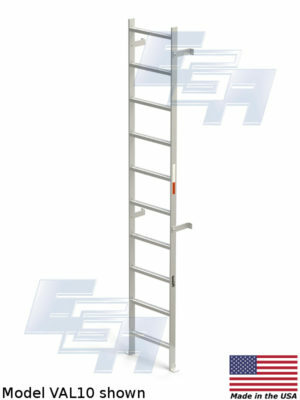 Their steel construction also guarantees the ladder will not wear down its durability or look over time. Our line of wall-mounted ladders includes aluminum dock ladders, fixed vertical and cage ladders, fixed dock ladders, two-step wall mounted ladders and wall-mounted walk through steel dock ladders. All are designed to meet OSHA compliance standards, and all are built to last long past their price point. 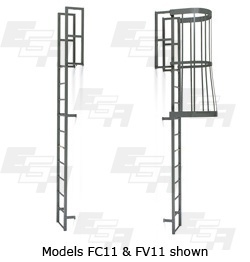 EGA Products fixed ladders or dock ladders can be aligned with any elevated swing gate or work platform, and include a cage as needed. 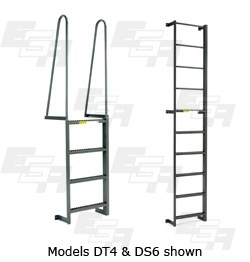 EGA also offers numerous ladder accessories, including caster kits, swing gates, handrails, and other industrial-quality products required in a factory or manufacturing setting. 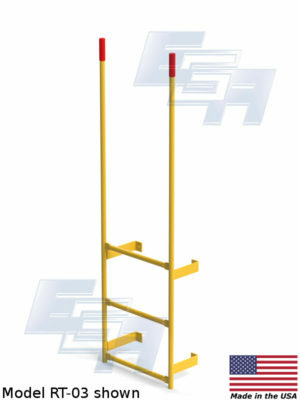 We also offer replacement parts as needed, if you’re looking to extend the life of your current fixed wall ladder. Call EGA Products at 262-781-7899 or request a quote online today!